Rentel offshore wind farm will be built in the territorial waters of the Belgian North Sea. Image: courtesy of Rentel. Siemens SWT 7.0-154 turbine to be installed at the Rentel offshore wind farm will have a rotor diameter of 154m. Image: courtesy of Rentel. The Rentel offshore wind farm will include an offshore substation from STX France Offshore Energy. Image courtesy of STX France. The $1.4bn project is part of the Belgian North Sea marine management plan, which includes seven offshore wind farm concessions with an estimated installed capacity of 2,200MW. The wind farm will generate more than 1GWh of renewable power, enough to power more than 288,000 households. The project is expected to employ 2,000 personnel during construction phase and 100 personnel once operational. The wind farm construction will begin in 2017 upon financial closure in 2016 and is scheduled for completion by 2018. The offshore wind farm will be located approximately 32km away from the Belgian coast. It will be situated northwest of the Thornton bank and southeast of the Lodewijk bank. The wind farm will occupy 22.72km² with water depths ranging between 22m and 29m. The development headquarters, as well as the operations and maintenance base of the wind farm will be located in the harbour of Ostend. The Otary RS joint venture is responsible for the development, finance and operation of the project. The venture partners include Rent-A-Port Energy, Electrawinds Offshore, Z-Kratch, Socofe, SRIW Environment, DEME, Power@Sea and Aspiravi Offshore, which own 12.5% stake each in the project. The wind farm will be installed with 42 SWT 7.0-154 wind turbines supplied by Siemens. Each 7MW turbine will have a hub height of 106m, a rotor diameter of 154m, and a swept rotor area of 18,600m². The turbines will feature Siemens B75 single-piece cast blades, which are one of the lightest blades in its class. 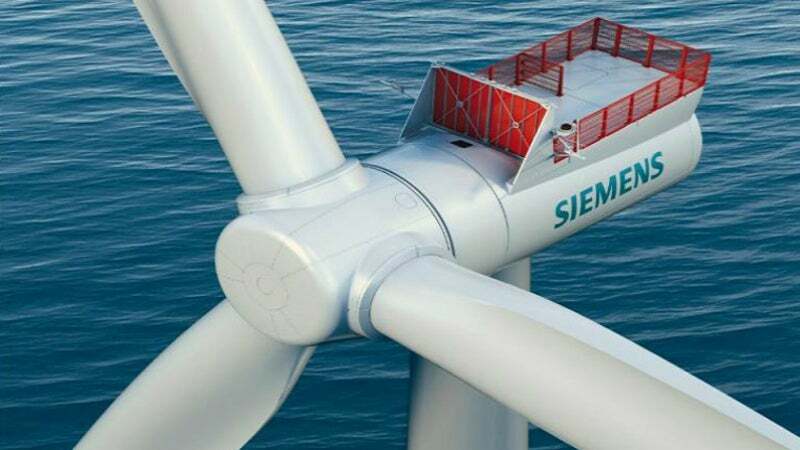 The turbine rotors will be directly connected to the generator to eliminate the need for a gearbox, making Rentel the first wind farm in the Belgian waters to use Siemens direct-drive technology. "The wind farm will generate more than 1GWh of renewable power, enough to power more than 288,000 households." The turbines will be linked to an offshore substation, which will be connected to the Stevin onshore substation in Zeebrugge via a 220kV subsea cable. The substation at the port of Zeebrugge will be located 42km away from the turbines. The inter-array cables will be installed at a depth of 1m, whereas the export cables will be installed 2m below the sea bed. The Management Unit of the North Sea Mathematical Models (MUMM), a department of the Royal Belgian Institute of Natural sciences, conducted a study on the environmental impact of the proposed offshore wind farm and found that the project construction would cause no harm to the environment, marine life, birds and population. STX France Offshore Energy will be responsible for designing, constructing, installing and commissioning the offshore substation and high-voltage electrical equipment. Technum will assist the wind farm development and domain concession file, and will follow up with geotechnical offshore site investigation, while also designing basis for the foundation and conceptual designs of the foundations. Green giraffe will advise the developers on raising debt for the project. European Investment bank will support the project by providing approximately $450m project finance, subject to the final approval.